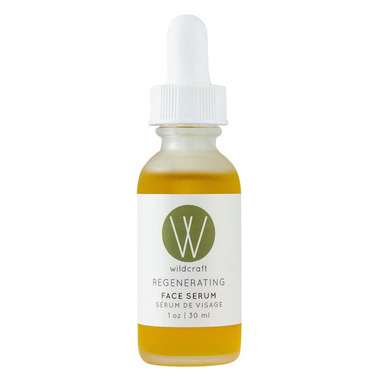 Wildcraft Cell Regenerating Face Serum is a concentrated, restorative formula rich in vitamins, proteins and minerals for the face. Composed of active ingredients such as seabuckthorn, Ontario hemp seed and frankincense oil, this is our heavy hitter for skin renewal. It goes on light and absorbs quickly (even for an oil). The palmarosa balances your skin's sebum production, making this an ideal solution for all skin types. Scent:Fresh and woodsy, with a rich citrus undertone. Good serum. It is a little oily, so I use it at night, but would probably be fine to use during the day if you have dry skin. I like the natural scent, and I like that it has few ingredients. No additives. I am a fan of other Wildcraft products, too. And from Toronto. Say no more! Great product for my sensitive skin. I am prone to redness and dryness of the skin even if I got enlarged pores and the occasional greassy skin during the summer times. I combined this product to an avocado oil cleanser to my routine to gently clean the ecxess oil and I wash it off with a warm towell. Afterwards I spray some witch hazel to tone my skin and the last step of my routine is this serum. My skin feels great and it looks a lot better now. I even have less pimples now that my skin is better balanced I guess. Was very positively surprised of the results. Only ONE problem, the container doest shut of easely and I spilled half of it 2 times, be very carefull with the cap as it doesnt twist easely. Gorgeous scent, lovely coverage, and straight forward ingredients. Most likely will only use in winter months as itâ€™s pretty saturating, but does absorb nicely. I ordered multiple items from this line and after using for a week my forehead became SUPER dry. That is strange as dryness is not something I suffer from usually. This serum feels pretty heavy, I know its an oil essentially but it seems to sit on top of the skin and does nothing to hydrate me. I also found the company itself very snobby and although I purchased 2 other products directly from them I found Well.ca more customer service oriented. I have since been forced back to my old skincare to fix the problems this line created for me. Also the shelf lives of these products don't agree with me either, even if I used these products twice a day I do not think I would finish them in time before they expire. Also if these products do not agree with you for some reason you are stuck with them. I will be sticking to my Kiehl's as they seem to not only work for my skin and have a longer shelf life but most importantly they offer a money back guarantee even if you use or open the product. I like this product. Smell is nice. May be too strong for someone. I'm not sure though if it's a real serum. I.e. don't know if just oils go into deep layers of skin. I use it at night, it's moisturizing. Very moisturing with cute packaging. Smell is a little bit strong, but will definitely buy in the future. Love this! I used to use Rocky Mountain face serum but it made my face so orange. I am so thankful I found out about Wildcraft and now I use all their products. This doesn't make me breakout and living in Alberta, it keeps my extremely dry skin moisturized. I will never stop using this as long as they continue to make it! A must have for sure! So happy with this serum! Light & absorbs quickly but very hydrating. Wonderful smell- not overpowering & does not irritate my skin (like some products with essential oils). Great price for a high quality serum. This is one of my favourite products. Its hydrating but does not leave your face feeling oily at all. I use it in lieu of moisturizer everyday. This serum has been a very pleasant surprise! It's really helped to balance my red, sensitive skin. It absorbs really well and works great under makeup. I use it both morning and night in liu of moisturizer. Purchased this serum as a step to boost my skincare routine (I use mostly Neutrogena Naturals products) and although it is more of a super oil than a serum in term of the texture I love it! It absorbs easily and doesn't stay greasy. I usually mix a few drops with my moisturizer as I find I can blend it more evenly over my face using less of the product than doing those steps separately. I'm 33 and my skin was fairly clear with a few fine lines starting but after using this one to two times daily for a month I have noticed a difference. My skin looks healthy, has a nice glow and is smoother looking. This is a must-buy; great value, natural ingredients, not too strongly scented. Very nice serum. I use it with other products to help nourish my skin. This serum is amazing for sensitive skin dry skin. A must have in the winter but also awesome in the summer!